"Female u/k age, feeling suicidal, having bad reaction to cocaine"
In my last post Pass the Donkey the main point was responsibility. Who should take responsibility for a mental health patient suffering a crisis. Police, ambulance or hospital. The long and the short of it was the police should have sectioned but were unwilling and the hospital should have accepted the patient but didn't. Why? A simple but very pertinent question. Why were the police unwilling to go through correct procedure. Well I have found one answer to it. MentalHealthCop pointed me in the direction of this account by a front line police officer. This is their account, unedited and I think goes some way to showing what could be on an officers mind when considering a sectioning. 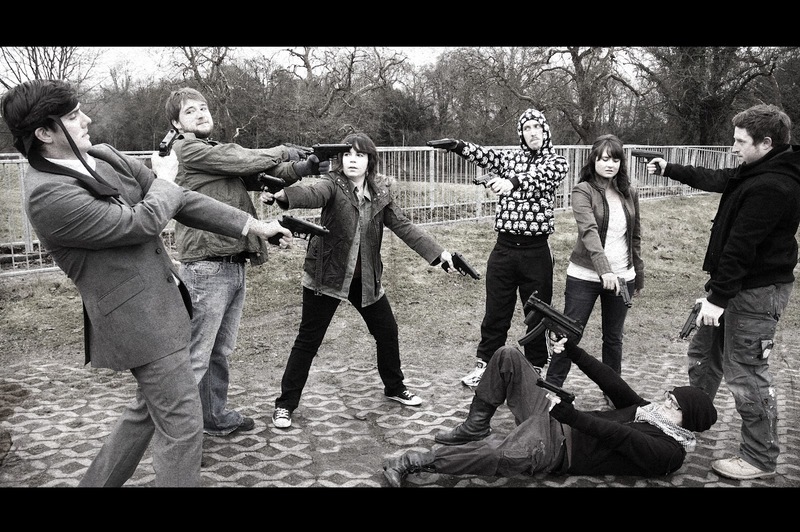 A Mexican Standoff is a situation where no one can emerge as a clear winner. I think that is very true with mental health care. Certainly the patient never seems to be the winner and as this account shows, finishing on time seems to be much more important to some, than the health and well being of a patient. To set the scene, it's 5am at the end of yet another gruelling night shift. We all know the feeling, all we want is our bed, but invariably that will have to wait. There will always be one more job to do! “Here is the full story of the MH debacle and the Mexican Standoff I had this morning with the NHS … Police called by Ambulance to assist them as a well-known self harmer has taken cocaine and has some unusually bad reaction to it. She feels dizzy and sick and it was enough to ask for medical help because it was weirder than her normal reaction to cocaine. I am a good 45 mins away from scene and so firearms vehicle attend. In our force it seems that once you have a gun you lose the ability to think for yourself and (god forbid) the ability to actually use your powers as a police officer … a bit like inspectors! Helpful firearm officer asks over the airwaves “she says if we leave her she will kill herself. I don’t know what to do so can a local officer please come and help me”. Thanks for that. Try communicating with her for a start! I get there. Firearms say “thanks, see ya” and leave me to get off and finish on time. Ambulance say – there is nothing wrong with her AND I QUOTE “apart from her her heart rate being a fast from the coke”. They know this frequent flyer and stand with their arms crossed saying can you get her out of the ambulance as we need it back on the road. Roughly translated as – I want to go home and I am tired of her again. Girl says – if you leave I will kill myself. I now have no choice whatsoever. Oh, and I then remove the razor blades she has concealed in her hands which both firearms and ambulance failed to notice. So I ’136′ her because I feel that if we leave, bearing in mind her mental health history, her substance abuse and her stated intent, she will make a serious self-harm / suicide attempt. Ambulance says – we are not taking her in, you take her in the police car. Out comes your blog for first time to highlight the first breach (of the Code of Practice). FIRST standoff – I explain our/their policy of ambulance to 136. I explain this is not a criminal justice incident it is a HEALTH incident: me police; you NHS. Ambulance say we won’t take her unless you sit in ambulance with us. Fair enough – I agree in order to get this progressed. Get to A&E for the SECOND standoff of the morning – they did not even let us in, we had to stand in the foyer of A&E. I explained the Red Flag (drugs) and why she needed medical assessment. They did not want to do this – roughly translated as I am tired and I want to finish thank you. Still in the foyer of A&E and not even over the bloody threshold I stand clutching my iPhone in one hand (with your legislation and blog) and my police Blackberry in the other with our policy on it re 136. Because the doctor asked our girl 2 questions (being name, DOB) and she did not answer, she declares this patient will not cooperate and asks, “Please take her away.” No monitoring, no communication apart from 2 questions repeated by a stroppy nurse. I say – are you happy she has the capacity? They say yes. 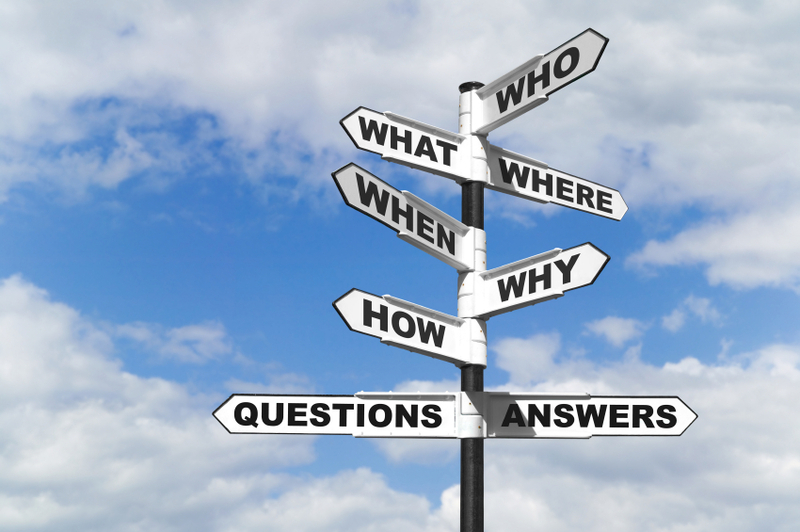 I say – how do you know as you have only asked her name and DOB? They all shout at me. 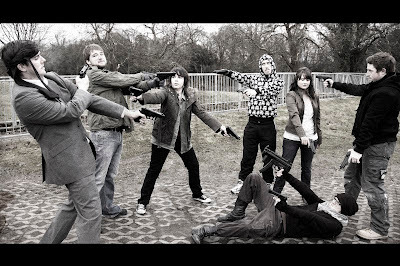 THIRD Mexican standoff – I am liking Mexican Standoff for the blog title – please sign here. “No” … we are AND I QUOTE “Not allowed to sign anything relating to treatment unless your Chief Constable asks for it in writing”. I write – refused to sign. They are not happy I have written their names down and shout at me. My theory is that if you are convinced that you are right, and can back it up – why are you scared of giving your name? Or signing?! They knew they were wrong but they wanted to go home after working all night. Me too. So, I ask can you please phone the MH Unit which is 50 yards away and ask if we can take this girl there or will they refuse us? Oh no, we cannot phone. Good will tank now running on empty. I am now aching through tiredness and frustration to the point where I may need admittance to the MH unit myself and I’m more than one hour off late already and I’m not done. I take her to MH Unit who agree to accept her under 136 even though she has had a drink because I have to argue a FOURTH Mexican standoff of ” Custody and cells is not the right place for this lady, she is not a criminal, she is not well and the custody sergeant will not detain here there given the lack of medical assessment so far knowing she feels unwell after taking cocaine”. All my NHS colleagues went home on time, only me off late. I felt so let down by them that I could have screamed. I nearly lost my cool in A&E and I did share a piece of my mind because they were being SO obstructive. They failed to see that if our girl died from the effects of the drugs – they assume she was telling the truth about what she’d taken – then it would be ME and not them losing their job, unless I did this properly. I'm always quick to jump to the defence of my colleagues in green. I am also more than happy to point the finger when it needs to be pointed. I can't for the life of me think what they were playing at. A patient is a patient, regardless of whether or not they are a frequent caller. A patient who by their own admission is having a bad reaction to cocaine is a concern. Threats of self harm aside, this still needs to be medically investigated before anything else is done. The ONLY suitable place is A & E. There are high risks of heart attacks from heavy cocaine use and that is heightened with high blood pressure. I imagine an MH patient feeling panicked and suicidal will probably have a higher than normal blood pressure. On top of that there is a significant risk of seizures and respiratory or cardiac arrest. Luckily this patient had a police officer who put their job role before their bed, to make sure the right thing was done. Why health professionals think that a police cell is the most appropriate place for these patients is beyond me. 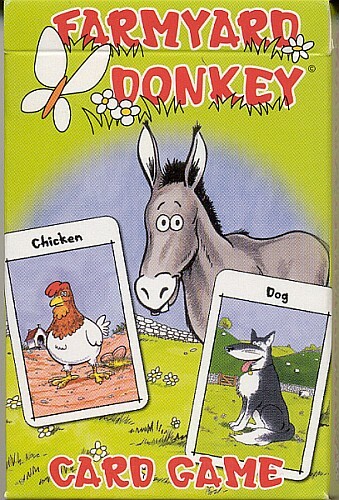 There are so many similarities to this job and Pass the Donkey it's frightening. I'd never heard of an A & E department refusing entry to patient brought by ambulance or police. Let alone one who is suffering symptoms of drug toxicity, suffering a crisis and under section. I'm lost for words. Clearly this is more than an isolated incident. 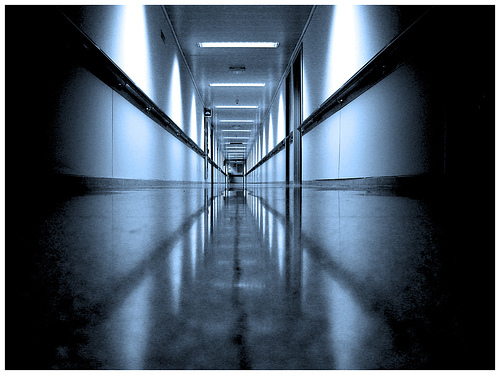 It's happening at more than one hospital and needs to be repeatedly reported and addressed. People simply cannot play God over patient care because they want to go home. I am not surprised the police don't want to get involved in a sectioning if this is how they will be treated. The only positive that can be taken from this particular job is that the police officer involved conducted themselves in a way that ensured the patient was put first. Sadly the same cannot be said for the services they came into contact with. I only wish those ambulance and hospital staff could read this and see what impact their actions and inaction are and will have on the health service. What chance does the NHS have of surviving if it is going to continue to allow such bad practise to occur. Mental health needs addressing, these patients need the same care as any other patient regardless of drink, drugs, mental state or frequency of calling. Maybe the arms folded and 'not my problem' attitude from the ambulance crew and the 'you're not coming in here' attitude from the hospital are adding to the patients problems and inability to fit into society. Not such an open minded, accepting society as we like to advertise is it?! This officers account can also be viewed on Mental Health Cop's website in the post entitled Mexican Standoff. "46 year old female, suicidal"
Writing this blog has been a very interesting and worthwhile project, and one I thought I had finished! However, the power and interaction that social media (namely Twitter) brings is debate and opinions from many areas. On this particular job I only sourced opinions from the people and services directly involved on the night; ambulance, police, hospital and of course the patient. What was highlighted was that this job was a 'symptom of a fragmented system'; a system we are all aware of and often vent frustrations against. It was suggested by a number of people that it would be interesting to hear from an AMHP, community MH services or someone with experience in the treatment of mental health. So I did! "My experience comes from many years working as an advocate, in mental health, learning disability, forensic and acute settings and eventually as a mental capacity advocate. I now lead on mental health and mental capacity advocacy in terms of promoting and developing best practice guidance, so although no longer a practicing advocate my perspective remains the same – the person at the heart of this process. I’m lucky and in a privileged position that I don’t have other factors at play when carrying out my job. I’m there only to find out from the person what they want, what’s important to them, what help they feel they need and how that can be communicated and articulated to others so that their views and wishes are heard and their rights upheld. In this instance the patient is already known to services. She threatens self-harm and/or suicide and is known to action these threats. She’s known to take up a great deal of services time and energy which impacts on how she’s dealt with by all involved. She’s viewed as a difficult client and that view of her has been set in motion - from the professionals that are familiar with her, those who receive a handover about her ‘difficult behaviour/presentation’ to those she’s never met before - and immediately puts a barrier between her and the professionals involved. It may not be a conscious barrier, but it exists, she’s viewed as a ‘difficult job to do’. This leads to a spiralling effect from the private ambulance through to the A & E department and the police call handle centre that means she’s treated as a problem that needs to be dealt with and not a person in mental distress. But what if she wasn’t seen as a problem? What if she was seen as a person in distress whose coping mechanisms mean she lashes out, threatens harm to herself but who wants to be heard (she rings an ambulance for a reason even if it’s not apparent). If she were calmer, polite, rationally explaining why she wants to harm herself, how would she be treated then? I suspect with compassion. The issue is the same, but instead the emphasis has become about getting a task done, passing the ‘problem on’, fitting her into a piece of legislation or policy. She has become the least important part of the decision making process. @Sectioned_ says it best when she explains she’s in a vulnerable place and needs to be recognised, communicated with and listened to. Simple yet could make a difference to the process as well as the outcome if she wasn’t viewed as the problem but someone in need and distress who is finding any way of reaching out." An interesting point was that of not having other factors at play when treating a patient. I think it is often something that hospitals and others services don't understand or comprehend. 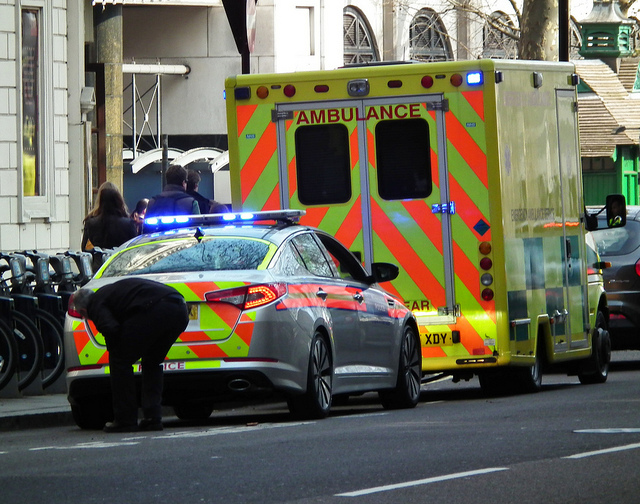 When the police and ambulance service deal with patients they are often in the public domain and this brings with it its own set of challenges. In this case swigging pints, brandy and wine from strangers' glasses in a packed pub was just one of the challenges we faced. The bystander and the crowd have a lot to do with our decision making process. In a hospital, the nurses of whatever speciality have a cubicle or room in which to treat the patient where confidentiality and due process can be maintained. They generally don't have a sweaty 50 year old drunk man grabbing their arse or the remnants of a Jaegerbomb poured down their neck whilst trying to find out exactly why the patient is suicidal and deserting her wheel chair! A chirpy git leaning over your shoulder saying "I want that one" is not helpful in any way. You also have the onlookers who know best, who all have an opinion and are not shy to share! Viewing the patient as a problem is in itself, a problem. Yes, I agree tact and differing approaches are needed but again it comes down to luck. There are 1000's of different combinations of ambulance crews and 1000's of police officers. Some will be willing and open to go the extra mile, some won't be. There are times where I have been faced with 'someone in need and distress who is finding any way of reaching out' but if reaching out means I get verbally abused, spat at, punched, kicked or vomited on, then that is where the 'reaching' will stop; I'll be reaching for my radio and requesting police, and so starts the cycle again. As much as we all want to do the right thing, circumstance, guidelines and personal safety all get in the way. That is the flaw with pre-hospital care. We are in unknown, uncontrollable, often volatile environments, with not only the care of our patients to worry about, but the risks they may pose to unaware members of the public. "The Mental Capacity Act in this instance doesn’t apply as she’s assessed to have capacity. However if she was assessed as lacking capacity and it was deemed in her best interests to take her to hospital, consideration would need to be given to the use of force and/or restraint and whether it was necessary and a proportionate response to protect her from harm. However section 136 of the MHA was the therefore used and the place of safety in this instance was a hospital. But it doesn’t need to be. Local policies and procedures should consider a range of options that may be more appropriate and have a less detrimental effect on a patient. Whatever their presentation, consideration should be given to the impact on the person’s mental health: will the place of safety exacerbate their distress for example; what environment would ensure a mental health assessment runs more smoothly, would a relative's home be a more temporary appropriate option? To end, given this is a complex case with a person with a long history of presenting to services, has her mental health AND her capacity been thoroughly assessed and is there a need for a multi-agency safeguarding meeting to progress the case long term so that all agencies are working together? Also, given the numerous professionals involved, should she be given the option of having an independent advocate?" The most frustrating observation from doing this project is that all of the services seem to be singing from the same hymn sheet; the ambulance, the police, the hospitals, the mental health services and the patient all want to work together to find the best outcome. It's a shame we are just the people doing the work. It's a shame we are the ones in contact with the patients. It's a shame politics and budgets play such a huge part in patient care. The concept of 'failure demand' is painfully evident in all facets of mental health care. There is a huge failure to do what is needed, and what is done is not being done properly. That is what let this patient down to a point. None of the services she interacted with on this occasion can be free from blame, likewise, neither can she. Her actions, albeit triggered by cause and a lack of appropriate care and management, put us in a no-win situation where the police are our only option, as only they can restrain and section. Not at all ideal for any party involved, but everyone did what they had to do to cover their asses as Laptop Cop eluded to. I have no doubt her behaviour is a symptom of her mental illness but we can only act on what we see in a moment. We knew her on this occasion but another crew may not, and without any prior knowledge of her history, her actions cause a barrier to be put up between her and those who are there to help. If all services were allowed to work together, like we all clearly want to, then change can and will occur. Maybe if more people could see that through social networking different aspects of the health services are indeed trying to understand each others' roles better and then perhaps that could be transferred into improving patient care. At the end of the day that is what we are all here for; the patient. How can anyone expect a patient to buck a trend, make positive changes and take steps to get better if the very services there to help them won't do the same? Just sayin'! I'd like to thank Laptop Cop, Mental Health Cop, @jakkicowley and Stewart Thomas for their input on this project and a special thank you to @Sectioned_ for sharing her feelings and experiences from the patient's perspective. EMS and police blogs can be very one sided I feel that, in this post especially, the patient's view was the most crucial. I recommend all their blogs and Twitter accounts for anyone interested in policing, health care and mental health. When we arrived at the hospital we were not greeted with open arms; in fact, quite the opposite. For the first time in my career the charge nurse refused to accept the patient. He didn't 'want her nonsense' in his department. As far as he was concerned she had been discharged from A & E and was not his responsibility. Obviously I didn't take this lying down but at the end of the day I have no power at all so we went and waited in the corridor like naughty school children until someone above my pay grade could decide what to do next. Obviously there were implications for our patients current mental state. I can only imagine what it must feel like to be taken somewhere you don't want to go and then be refused entry the place you have been assured will look after you. She did not take kindly to this rejection and despite the corridor being full of other ambulance crews and their patients she continued to scream, shout, swear and abuse. It was frankly embarrassing and something the hospital has a responsibility to avoid at all costs. "From a nurses point of view, there isn't really a question of whether to accept hand over or not, the patient 'claims to be suicidal' so the patient stays to be assessed for suicide risk and medical clearance with an aim to refer to mental health services. Standard practice for any mental health patient. Capacity needs to be assessed and documented, if they have capacity then at least if they leave, your partially covered. So the treatment of the patient in question, isn't really an issue, it should happen, it needs to happen and clear discussion about the management of this patient should be carried out with the mental health team. 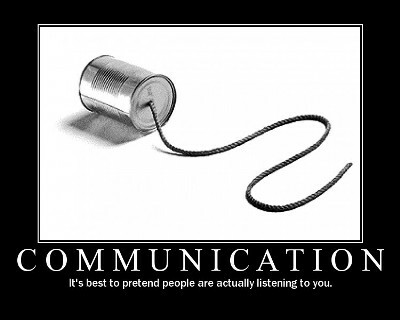 What people often forget with frequent callers is that every episode should be treated separately, with respect and dignity, something I pass onto staff constantly. This case when broken down is simple and clear cut. Easy to manage with the right input." "No units to send, we will not be attending unless requested by the hospital. We have already attended this CAD"
So now we were stuck a corridor with nowhere to go and no plan ahead. I then asked the patient to get off our bed and sit on a chair. She refused. I'm guessing it was her chance to fight back and in a way I don't blame her. We had effectively been playing the kids card game 'Donkey' where the object is to make sure you are not left with Donkey at the end of the game. That was no different to this situation, as crude an analogy as it is, to look at the mental health patient as the donkey. As an ambulance service we want either the police to take charge or for the hospital to take her. The police didn't want to get involved as it would tie up officers for hours and the hospital didn't want to know because then they would have the responsibility. We were stuck with the 'donkey' with no one to pass it to. A cruel analogy yes, but despite knowing what should be done, no one seemed willing to do it on this occasion. We sat in that corridor for a further 2 hours, totalling 4 for the job. When she got off of our bed and used the hospitals toilet she became their responsibility so we left. Not ideal for the patient but what could we do? It is therefore only fair to get one more opinion on this. Whenever I’ve dealt with emergency services personnel, they’ve arrived at a time of crisis. Of course they’re human beings, good and bad; but in a crisis they interact in institutional ways, according to training, codes and protocols. They’re there to do a job, which is to somehow resolve the situation that presents itself to them in the moment. They’re not there to fix your life. They’re not your mummy. They don’t love you. Similarly they’re not the housing benefit office that’s just written to say your benefit’s being cut; or the doctor’s receptionist who didn’t give you an appointment right away; or the hole in your pocket that meant you lost your purse. But it’s all these sorts of things and a million others that will be pressing on you in that one moment to contribute to your emotional distress. Sometimes when you don’t know how to deal with these emotions you end up feeling completely worthless. Totally messed up. That you’re a burden. That people would be better off if you were dead. And that you’d be better off dead. But here are the emergency services standing in front of you, trying to get you to do something you don’t want to, like move here, sit there, when all you want to do is cry out in pain. The priority of the emergency services is not to make your pain go away. Though they might well see you as a pain to be resolved, one way or another. This woman needs help with how she copes with her life. She needs coordinated mental health, physical health and social care services; pre-emptive measures. Each time she calls on the emergency services, it's an example of "failure demand": a demand generated by the failure to do something or to do it right ("Failure demand" is a concept invented by occupational psychologist Professor John Seddon and introduced to me by @MentalHealthCop.). It’s not about who’s going to transport her, or whose bed she sits on. These practical problems, which the emergency services are tasked with solving, are merely symptoms of a fragmented system that’s clearly been passing her around between different services for long enough for her to be seen as a right royal pain in the nether regions." We pulled up outside a busy pub; our patient was sat in a wheelchair arguing with a member of the public. We knew her very well, she was a very regular caller and was always a difficult patient to deal with. The normally phoned police or ambulance daily for anything from being suicidal or simply being locked out. It transpires she had been discharged from hospital only an hour previous, she had been given transport in a private ambulance home but had kicked off in the vehicle and been kicked out by the private ambulance driver. They had then called us because she said she was going to kill herself; and she had tried several times in the past. This was going to take ages! We approached her which immediately got her back up as she hates the ambulance, police and hospitals (begs the question why does she normally call!). She wheeled off towards the entrance to the pub and in a scene reminiscent of Little Britain she just got up and walked inside. Obviously, we followed. The pub was packed and she was drinking strangers' drinks at every opportunity. After half an hour of coaxing, and the landlord asking her to leave, we got her outside. She refused to come to hospital and said she just wanted to go and kill herself. Knowing all too well we couldn't physically force her onto the ambulance we requested police. What happened next I will explain, but I thought this post would be the perfect opportunity to get the views from a number of different perspectives. 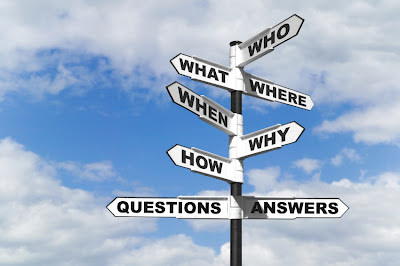 With only the above information I've invited guest blogs from a police officer and a police inspector to offer feelings on mental health patients and what they would have done in the same situation and to provide where the job stands legally within the mental health act. From a hospital point of view there is a guest post from a charge nurse and finally the thoughts and feelings of patient. Obviously, I'm the voice of the ambulance but this is a kind of experiment to see how all five opinions tally up. "Dealing with people who suffer with mental health conditions can be very challenging; the biggest tool we carry in our kitbags is communication. I would genuinely say a lot of the calls involving mental health can be dealt with by talking. This isn’t always the case though, sometimes force has to be used. The police and ambulance are emergency services, so we should only be called when there is an immediate threat to life or someone is in danger. This is often not the case, far too often we are receiving calls where a community team or local MH practitioner could attend and deal but they don’t, I guess it’s a lot easier to pass the buck and shift the ‘problem’ onto someone else rather than take responsibility for something. From our point of view, we can turn up, if someone is in a public place and is posing a danger to themselves or an other we can section them under 136 of the Mental Health Act and take them to hospital. If they’re in no immediate danger, and they don’t want to go to hospital all the police can do is take a report that gets forwarded on to our Mental Health Liaison Officer. Unfortunately the culture we live in today is something that I’ve referred to as CYA, which means Cover Your Arse and I hate it with a passion. I will do everything in my power to help someone, it’s in my nature and it’s why I joined the service but the problem is that this culture is all about making sure you’re covered incase the brown stuff ever hits the fan. So, in the job that Ella dealt with I am quite sure that even though this patient had the capacity to refuse treatment, the fact that she had made threats to hurt herself I would without doubt had to section her using 136 powers. This is so we can take her to a place of safety and get her help but I make no bones about the fact that this is partly down to covering myself. If I did nothing, even though she is a regular caller and probably won’t carry out the threat; IF she did, it would be me ‘gripping the rails’ at a coroner's inquest with the potential for losing my job." "If the police are called to support the ambulance service where they are dealing with a non cooperative mental health patient who is making threats of suicide or self-harm, thoughts should turn to whether there are any criminal offences being committed and / or whether or not the criteria for detention under s136 Mental Health Act are satisfied. Although resolving a situation without resort to legal coercion is far preferable, it may well be thought unlikely to succeed if the Ambulance Service have called for police support, having already tried and failed to persuade. Threatening or attempting suicide is not a criminal offence, so in the circumstances outlined it appears to be s136 or persuasion. Officers have tried to persuade - actually, sometimes a police uniform is persuasive as it also implies 'or else' - but that having failed, it looks like detention under s136 is the only viable option to consider. In so doing, thought should pass to what the consequences would be of not implementing s136? Amidst known mental health problems and threats of suicide, were these to be realised after such contact with NHS and police professionals, it is reasonable to assume difficult questions would be asked. The patient would have the right to walk away from any healthcare offered, as the paramedics concerned have stated that a decision to decline treatment could not set aside by virtue of the Mental Capacity Act. So on the circumstances as presented, I'd have been implementing s136 MHA and doing so in knowledge that this may then mean a wait within A&E or at a place of safety, pending assessment." Sadly it didn't quite work out how a) I wanted and b) how both Laptop Cop and Mental Health Cop would have wanted. The police did come. They implied they were going to section and forcefully assisted the patient onto the ambulance but then left. I assume this was partly due to the fact that they had spent most of the previous night with her and were extremely busy again tonight but I wasn't at all happy with the situation we were left with. As Laptop Cop says, the 'cover your arse' attitude dictates most of what we all do everyday, in this case the police had got the patient off the street and into the safety of our ambulance. It was now no longer a public issue and although, like Mental Health Cop confirms a Section 136 would have been the appropriate action, the fact of the matter was the patient was now being taken to a 'place of safety' without any further strain on police resources. As much as I disagreed with the methods used as I could see no legal right to take her off the street without arrest or section, I'm not one to look a gift-horse in the mouth, so we took her to hospital. Bear in mind she didn't want to be in the ambulance, she certainly didn't want to go to hospital, but she made no attempt to leave so I didn't push the subject. It was a short journey but long enough for us to be called every name under the sun. "21 year old female, vomiting"
"Cancelled for higher priority event"
"She woke up this morning and didn't fell well. She started vomiting about 3 hours ago and is now feeling very weak. I want her taken to hospital to have a full work up"
"That won't be necessary, I'm a GP and I want her to go to hospital"
Well that told us. We finished checking her over, everything was absolutely fine, she didn't even have a temperature. We walked her outside, past the 4 cars and onto the ambulance. I sat her on one seat and offered the other one to her mother. "Oh, I'm not coming in the ambulance, I'll follow in the car, it'll be a pain to get home otherwise won't it?" With that, she got in the Land Rover and left her not so ill daughter with an irate ambulance crew. Seriously, what chance do we have when the ambulance service is abused by the very people the government are putting in charge. What chance does the ambulance service have of meeting needless targets when people who know what to say to get a quick response, cause the people who need us most to be stuck on the floor for hours? What chance do the hospitals have of meeting their patients needs, when they have to waste valuable time assessing and discharging the daughter of GP who probably ate some dodgy Fois Gras. The March competition has come to a close and it's time to make the draw! 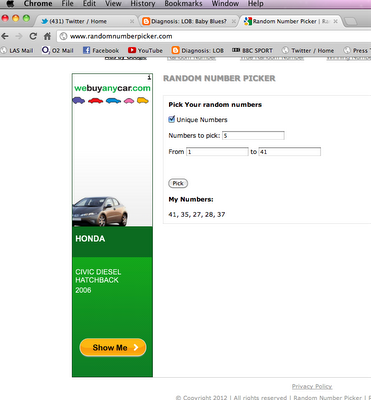 Every entrant was assigned a number and 5 numbers were picked by a random number generator. I've added the screen shot of the results in the interest of fairness! 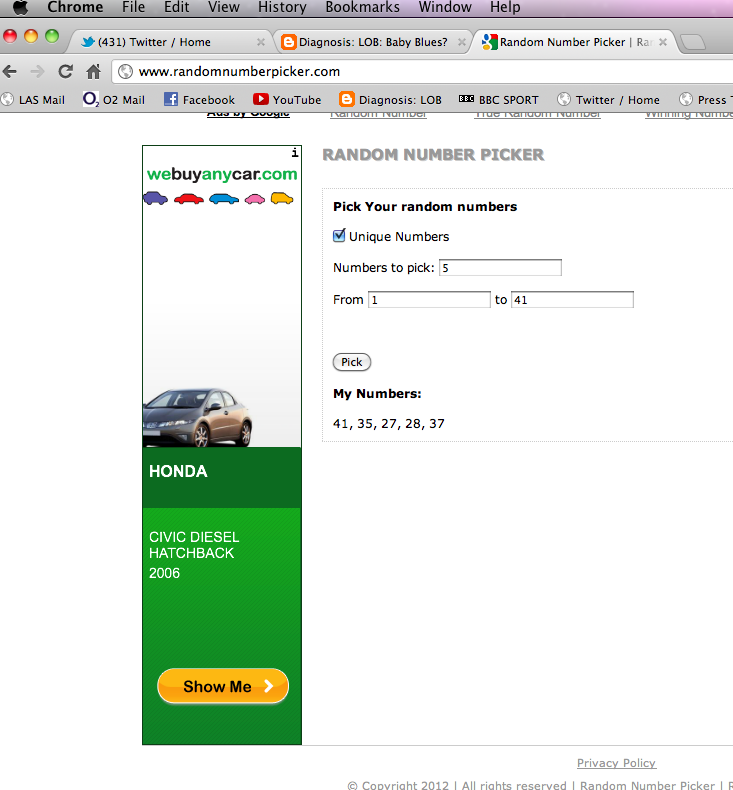 The numbers were assigned by the order in which they tweeted their entry. Thanks to all that entered! If you are one of the lucky winners please email where you would like it sent to diagnosislob@gmail.com and your mug will be sent out ASAP! "Who wants to be married to a shift worker?" Doing this job can be tough. The long shifts, the ever changing shift pattern and the stressful nature of what we do and often see can take its toll. Most front line staff at one time or another will have suffered some form of Post Traumatic Stress Disorder, be it intrusive thoughts, flash backs and harrowing sights in their dreams. We all have coping mechanisms to deal with it but a lot of the effects spill over into our personal lives and can have a damaging effect on personal relationships. The fact that the 'relief' rota is known as the divorce rota speaks volumes. I can testify to it! 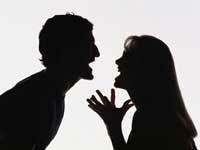 My marriage suffered as a result, to the point where it was beyond repair. I was always tired, moody, didn't feel like talking about what was troubling me and generally became crap company. I pushed away the person I was closest to, the person who had supported my career change and for what?! There is a general feeling that if you don't do the job, you don't understand. You spend so long at work and form close relationships with people that they become the ones you confide in; that in itself can cause a strain. Add to that the fact that your colleagues are the only people off work when you are & you end up socialising with them too. It is therefore no surprise that it is a very incestual service. A large percentage of people are married to or partners with someone else in the job. Let's be honest, with a 7/10 weekend rota your chances of meeting someone outside of work is seriously limited. Obviously, there is no fuel without fire, my marriage break-up cannot be souly blamed on my work, but if I hadn't changed careers I do often wonder, what if? To give you an understanding of our situation, you should know that we have a small child and that I have a full time (9-5 ofﬁce) job. So as well as navigating the shifts, we had to deal with childcare, my occasional evening and weekend work and sporadic train- related lateness as well as the odd attempt to see each other/have a life. I'm not going to lie, living with a shift worker was a nightmare. Especially a disorganised one. Let's just say he wasn't exactly reliable when it came to sharing his shift pattern and the infamous 'Relief rota' seemed to be completely random. So I spent half the time not knowing when he was working. Cue lots of confusion over who was supposed to pick up our child. Or my mum letting herself into our house at random when he was in bed after a night shift and him going nuts at me about it (there's a whole other post on interfering mothers there... Maybe another time). The side effect of a lack of information meant that I basically turned into a massive nag. Whenever we were both at home, all I did was to badger him for his rota so that I could sort out childcare and moan at him for never being around. He would snap at me, I got no information and on numerous occasions I couldn't attend work events or social gatherings. On top of that, apparently the housework was all my responsibility. Even though he seemed to sit around doing nothing and making a mess on his days off, my evenings and weekends comprised of looking after our child, cooking, cleaning and sleeping. I lost me and I lost my social life. It didn't take long for me to begin to resent it. And it wasn't much later that he started spending all his non-working time with his new paramedic mates, who I hated (despite never having met them) because as far as I was concerned they were the reason he wasn't spending any time with his family. Especially when I found out he’d told me he was working when he was actually out with them... Probably to avoid the inevitable ﬁght if I found out. It was less than a year after he started the job that he left. There were other things going on at the time that contributed to the split, but if I had to list the top three reasons for the end of our marriage, the job would be right up there. At the time, I didn’t see it as being the job and blamed him - which on reﬂection was unfair. But I didn’t understand the pressures of his job... and he didn’t have any idea of the impact of it on me either." I think it's fair to say that there will always be two very contrasting opinions and versions of events. I think the point that there is a lack of understanding between the impact on each others lives is very poignant. So much can and could have been fixed with communication. It's all too easy to run away from the root of the problem and find alternatives to facing up to what is essentially staring you right in the face. Sacrifices are made for this job and there are times those sacrifices seem worthwhile. But it is important not to lose sight of the fact that we are not the only ones making that sacrifice. "32 year old male, head injury post RTC, Car vs Lamppost"
First job of the shift; one minute in, typical start to the day. We put on our hi-vis jackets, threw our stuff on the truck and headed out for the day. The location was a residential road but quite a high speed one. It was just after 7am so the traffic was starting to pick up. When we arrived on scene, at the same time as the police, our patient was still in the car, the bonnet of which was wrapped around a lamp post. The airbags had been deployed and he had a nasty looking gash on his head. We fully assessed him and after the wound was cleaned slightly it wasn't as bad as it first looked. He had no neck pain at all so we slowly helped him out of the car, onto the trolley bed and onto the truck. He said he'd been driving to work and a cat had run out in front of him. He'd swerved to miss it, lost control and ended up well acquainted with the lamp post. As is standard practise the police came on board to take a statement and breathalyse him. Up to this point he had been very chatty but failing the breathalyser changed that. Death and Dying' that says a distinct pattern of emotions is followed. His first reaction to learning of being arrested was to deny the reality of the situation. He simply would not accept what was happening or what the officer was saying to him. "Are you serious? No way. This is not happening, you're kidding right?" "I don't kid about drink driving"
"But I stopped drinking last night... I didn't have that much, it can't be right"
Explaining that it was indeed correct and he would now be arrested changed his mood somewhat. As the masking effects of denial began to wear thin the reality and severity of the situation re-emerged. His intense emotion was deflected from his apparent vulnerability and was redirected and expressed instead as anger. He started shouting abuse at the cops and us for that matter. "What the f@$k are you looking at?" He then proceeded to jump off of the bed and make a bee line for the back door, kicking out and swinging wildly. Needless to say, he was promptly subdued and put in the back on the bed, this time in handcuffs. He continued his abuse for a few minutes until he realised it was getting him nowhere. It didn't take him long to realise that anger was not working so he tried begging and pleading to not be arrested. 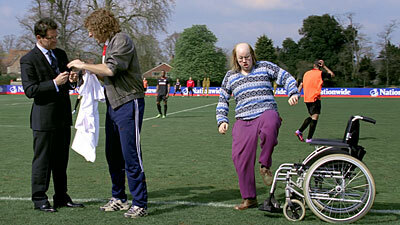 "Please mate, come on, you don't have to do this. There must be something I can do. Please. I'll do anything, honest"
"Sorry fella, you've been drink driving, there's no excuse and nothing you can say to change the facts"
"Seriously, I'll do anything, I'll pay a fine, community service, whatever you want"
Like the anger, this went on for a while. My crew mate was dressing the cut on his head while I did paperwork and he just continued to beg and plead for redemption. Two types of depression are associated with mourning. Obviously he wasn't mourning in the traditional sense but he was certainly realising the gravity of the situation. The first one was the reaction to practical implications relating his arrest. His sadness and regret were obvious and as he spoke I kind of felt sorry for him. I'm passionate about my hatred for drink drivers, but when you hear someone list the implications of the careless mistake they have made made, it's hard not to feel for them a bit. "I'm gonna lose my licence and my job aren't I?" It was a rhetorical question; he knew the answer as did we. "What am I gonna tell my wife? She can't drive, how am I gonna pay the bills? Oh my god, what have I done?" He had a point but as the old adage goes, if you can't do the time, don't do the crime. The second type of depression was more subtle and, in a sense, perhaps more private. He just lay their on our bed, staring at the ceiling. He then put his head in his hands and cried. It was an awkward moment really. What do you say? You can't really say 'serves you right', although it does, but it's human nature to have compassion. Then again, if his drink driving had killed a little kid there would be no questions that he should get everything that's coming to him. The fact that he got lucky doesn't negate that. By the time we got to hospital he had a quiet acceptance about what was going to happen. He was apologetic to everyone for what he had done and how he behaved. I'm sure in the coming days he will be dipping back into anger and depression, and only once he's had his day in court and learns to live with the consequences of his actions, will he truly accept what has happened. It's easy to point the finger and equally easy to find compassion for the guilty, but there are people who may never find the acceptance they need. These people are the victims of drink driving; the people behind the statistics, the people who will never forget the consequences of someone's stupidity. 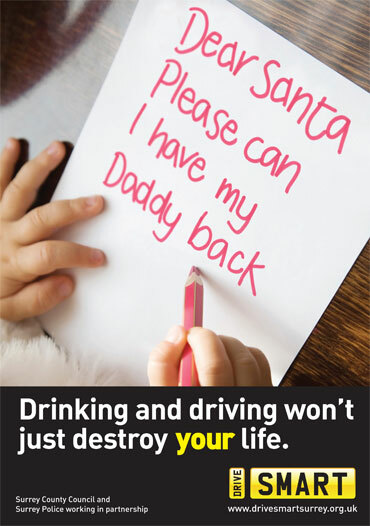 On average 3,000 people are killed or seriously injured each year in drink drive collisions. 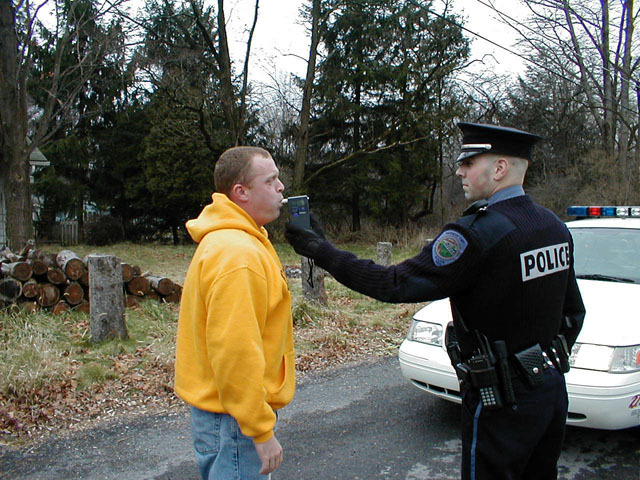 Nearly one in six of all deaths on the road involve drivers who are over the legal alcohol limit. The latest figures show that some 590 people were killed in crashes in which a driver was over the legal limit; 2,350 were seriously injured and 14,050 were slightly injured in the last year. Car crashes are the leading cause of death for teens and one out of three of those are alcohol related. It doesn't matter if you have had one drink too many or 10. The results can be catastrophic. It doesn't matter if you drive whilst drinking or the morning after; the same risks apply and if you think you won't get caught, more than half a million breath tests are carried out each year and on average 100,000 are found to be positive. Don't take the risk. Don't drink. Don't become a statistic. That is all. Feel free to copy and reproduce what you bloody like as long as you don't claim it as your own!. Powered by Blogger.